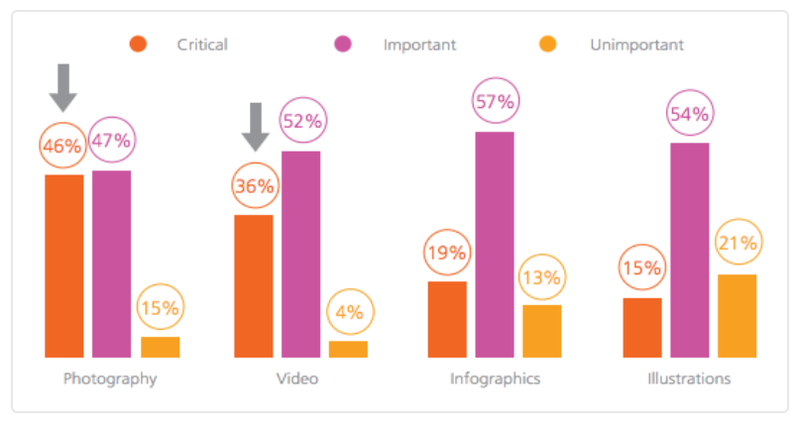 Most people don’t understand how images influence user behavior. They think images are just for decoration. But premium publishers know better. Let’s face it, we suffer from such an information overload that, according to social media expert Jeff Bullas, “67% of consumers say the quality of a product image is ‘very important’ in selecting and purchasing a product” in an ecommerce site. It’s even “more important than product-specific information (63%), a long description (54%) and ratings and reviews (53%),” he reports. When it comes to online publications, images are critical for anything from a longer session duration to the number of pageviews you get, not to mention user engagement and conversion. But while premium publishers often know that images matter, they don’t always know how images influence user behavior. Today, we’ve got the answers for you. That’s because images on websites influence user behavior from the time she searches for something on Google to the time she becomes the publisher’s most raving fan. Before we talk about how images influence user behavior on websites, let’s talk about how they bring more visitors to your site in the first place. That said, there are other reasons to consider including additional images in your article. Keep reading to find out more. 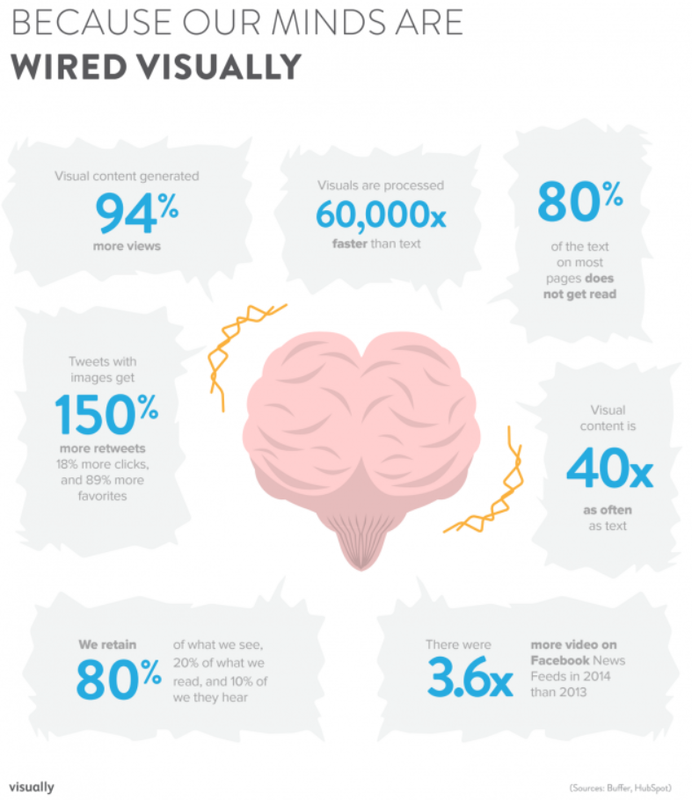 Meanwhile, one image you definitely want to include in your article is infographics. HubSpot reports that “publishers who use infographics grow in traffic an average of 12% more than those who don’t.” Chances are they get more backlinks and social shares. And speaking of social media… we’ve seen massive growth for visual platforms like Pinterest, Instagram and Snapchat. But even on text-based social networks, like Twitter, you have a better shot to gain user attention and engagement, and drive traffic to your site if you use visuals. According to Buffer, tweets with images receive 18% more clicks, 89% more favorites, and 150% more retweets than tweets without images. In other words, Premium publishers that care about user retention of information, need to prioritize images on websites they own. Retention of information matters because if readers have a better memory of the value they got from your site – meaning, if your site makes a bigger impression, assuming it was a good impression – they’ll likely come back for more. But featuring images on websites is not just about getting user attention – it’s about developing an emotional connection with your reader. “fMRI neuro-imagery shows that when evaluating brands, consumers primarily use emotions (personal feelings and experiences) rather than information (brand attributes, features, and facts),” reports Psychology Today. The emotional connection with an image – its “character”, setting, colors, and the experience it coveys – is much more instantaneous than text. While text can certainly evoke powerful emotions, the process is longer and much more complex, given what we’ve just discovered about how the brain works. Of course, you can’t just feature any standard stock photo and expect this to happen. You need high quality images that your ideal reader can relate to. One of the most important emotions images evoke is trust. If you find it hard to imagine how images influence user behavior and increase trust, just read this collection of research summaries from the BBC about the impact of fake images (not that we recommend you use fake images). But images do something else that evokes emotions. 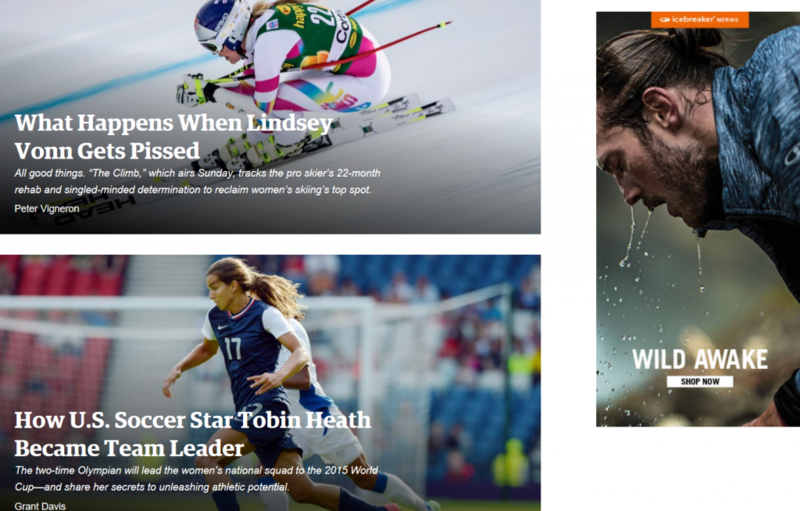 When premium publishers keep a cohesive visual style throughout their channels, they’re able to develop a brand personality that drives better engagement, because readers can connect with that personality on a deeper level. As we said in the past, Vogue is one of those premium publishers that really gets it. Earlier in the article, we indicated that the answer to “how images influence user behavior” is everywhere. First, as we’ve covered, you get more traffic and pageviews through Google and social media when you use images. Then, you win the retention game by giving the human brain what it needs. 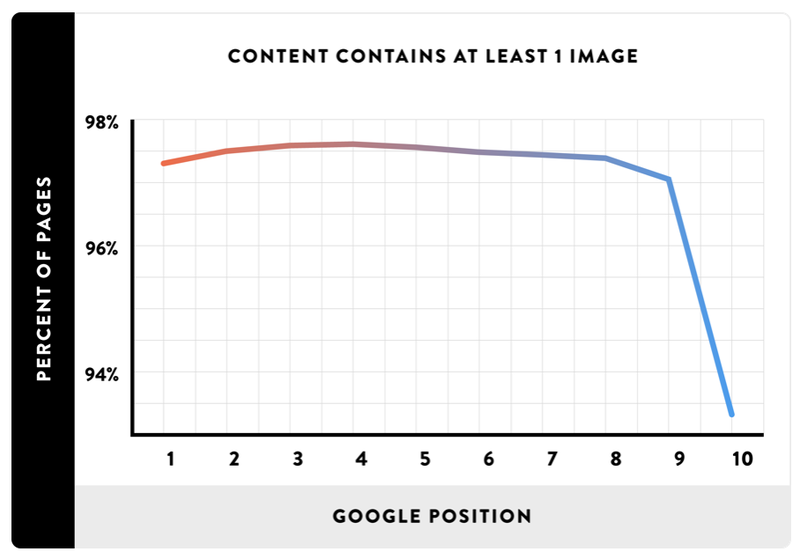 In fact, images impact user behavior from the moment a reader logs into your website. That means that your session duration increases, because readers can skim through your home page or article, and quickly understand what your content is about. That’s much easier than if they had to rely on your text alone, as a Nielsen Norman Group study discovered that readers often read only 20-28% of websites’ text. If readers like what they see in your images, they’ll probably stick around, read more than they intended, click through, and give you some extra pageviews. As long as you ensure the gallery doesn’t hurt page speed, it’s a great way to increase user engagement. Want to impact user behavior even more? Feature human photos, that clearly show people’s faces. Conversion rate optimization expert Jeremy Smith reports that eye tracking studies consistently “demonstrate that facial features are the first thing that people look at when they see a picture of a person.” People often relate emotionally to other people. Images on websites improve engagement, retention and conversions everywhere – even in on-site search drop-down menu. 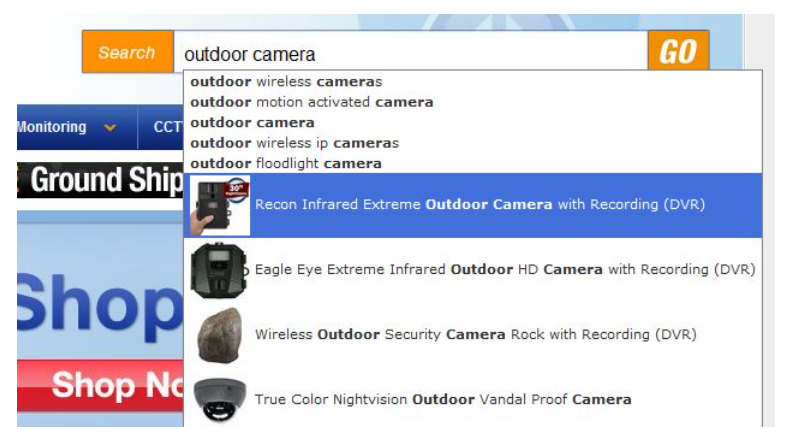 According to ConversionXL, online retailer BrickHouse Security added a drop-down search menu with images, and that increased conversions from site searches by 100%. On mobile, it’s harder to get user attention. Mobile users are on the go, and their screens are smaller, so they have even less patience and time than desktop users to give to premium publishers. Images can quickly convince them that it’s worth giving you a chance. But if you really care how images influence user behavior – and therefore, your bottom line – you won’t upload just any image. As A List Apart emphasizes, it’s important to upload responsive images that don’t have a negative impact on page speed. Otherwise, you risk getting hit by ad blockers on mobile too. To truly leverage how images influence user behavior, figure out who your ideal reader is, what type of brand personality she or he will best relate to, and figure out your end goals. Then, read the relevant section in this article again, and change your visual strategy step by step to help you reach your goals.